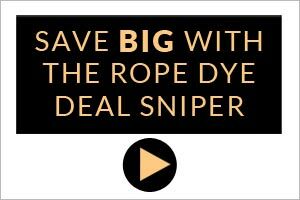 Last week saw a staple of the Rope Dye Callander hit Berlin, the Selvedge Run Trade Show. Fashion trade shows are where brands gather twice a year to show their Spring/Summer or Autumn/Winter collations. 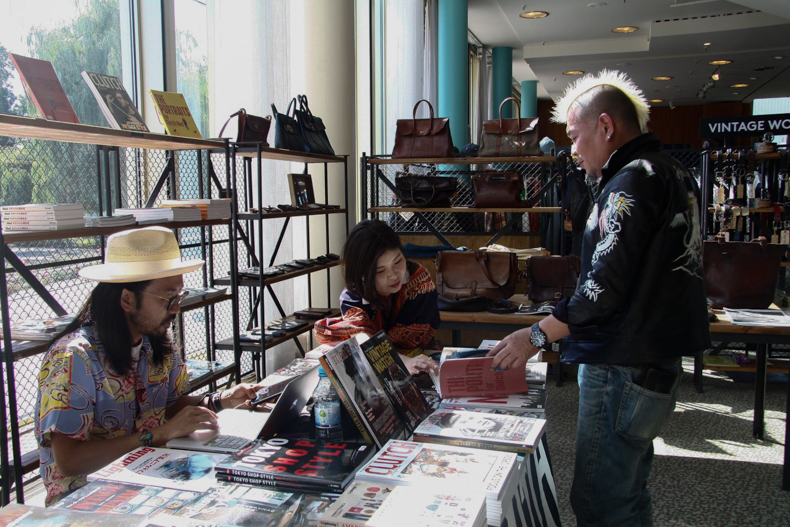 Buyers, store owner, press and other industry professionals visit these shows and decide what will be stocking store shelves or lining their pages for the coming season. 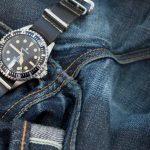 As the name suggests the Selvedge Run has a strong affinity for denim, but it is bigger than that. It is a lifestyle show. 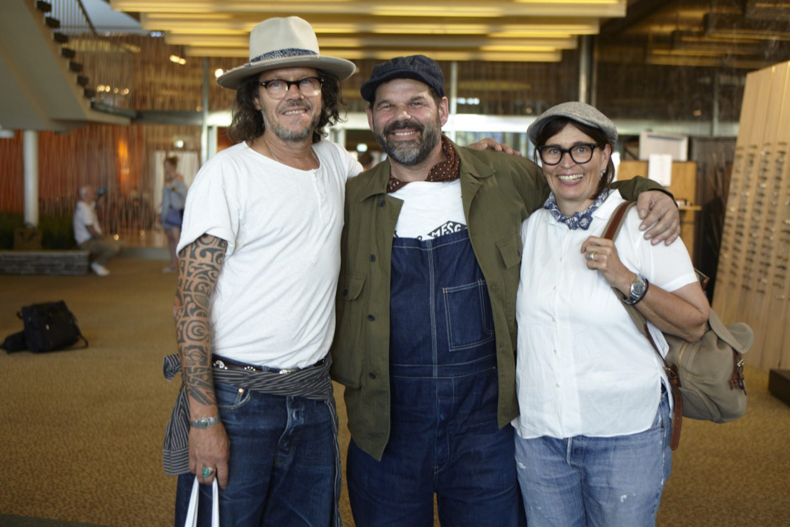 The qualities that are found in a pair of selvedge denim jeans informs the ethos of the brands who choose to show there and the buyers and store owners who visit the show to place their orders. There is a clear focus on quality which represents a welcome respite from the monotony of fast fashion. 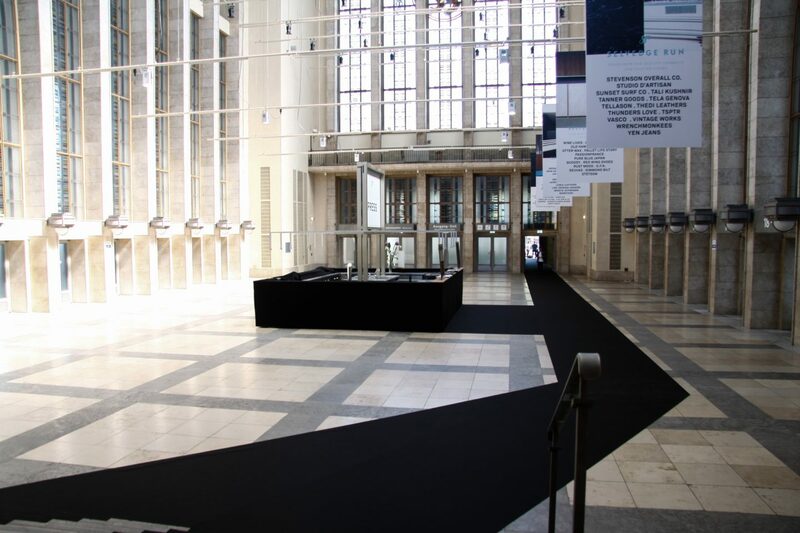 This season, the show found a new home in the “Palais am Funkturm”. It was the perfect summer location with the spacious interiors, beautiful natural light and most importantly in the 32 degree summer heat, air conditioning! The brands and visitors could happily relax and do business. 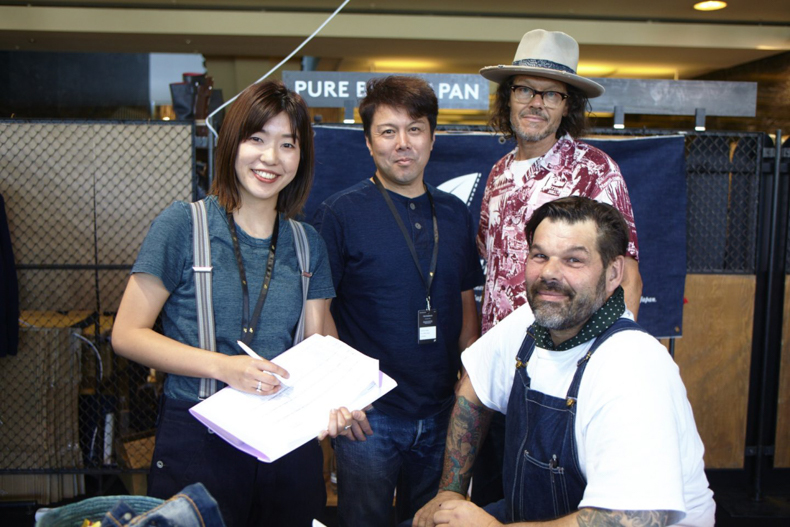 Over the three days of the show, returning brands such as Pure Blue Japan, Iron Heart, Simmons Bilt and Stevenson Overall Co. sat alongside new faces like Nine Lives Brand, Burgus Plus, Fine Creek Leathers and Vasco. 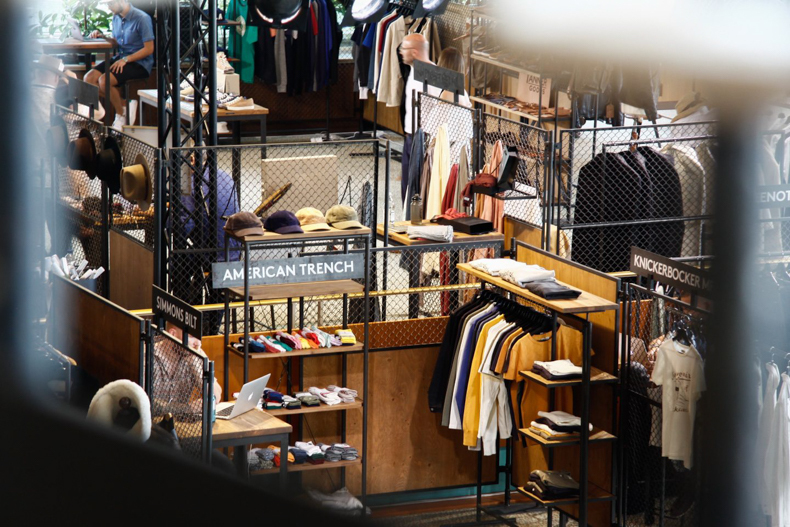 All in all, there were around 80 brands exhibiting, all representing the very best in terms of quality and crafted menswear. 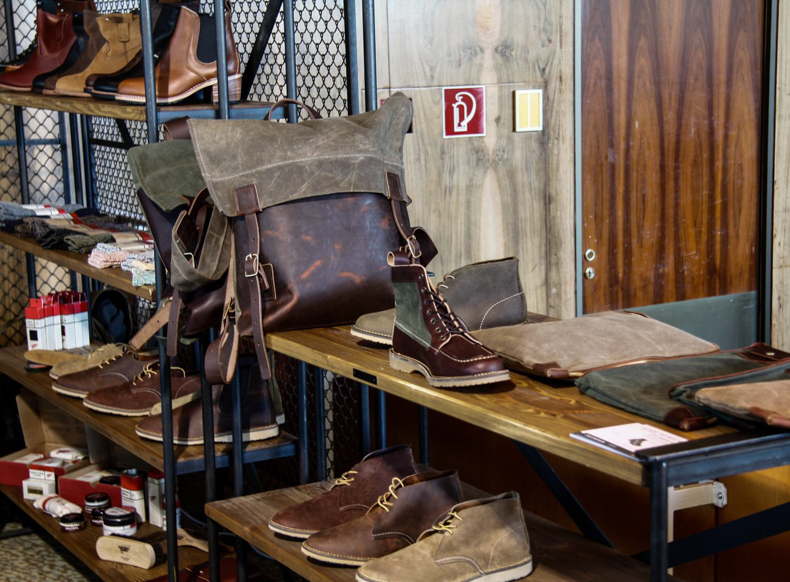 A brand portfolio like this attracts some of the world’s most renowned menswear stores. American Classics (UK), VMC (Switzerland), Self Edge (USA), Godspeed Store (AUS) and Standard & Strange (USA) all visited the show to see the latest from their current brands and to see what’s new. 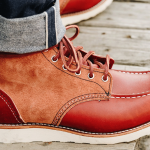 They trust that the Selvedge Run’s brand policy will only bring them brands that adhere to the highest standard of quality and ethical manufacture.